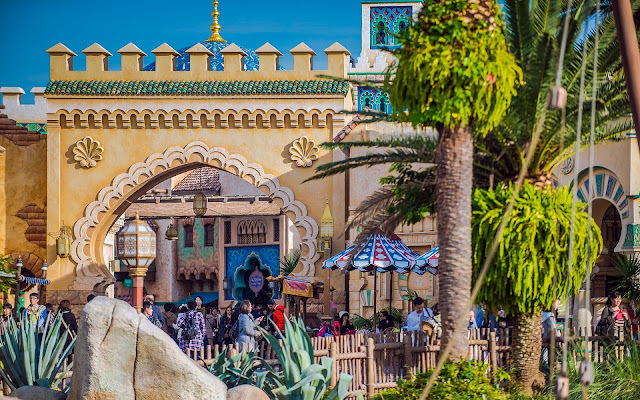 The Arabian Coast is an evocative and immersive port of call at Tokyo Disney Sea--one of seven in total. It's an exotic land that harkens to Aladdin's Agrabah. 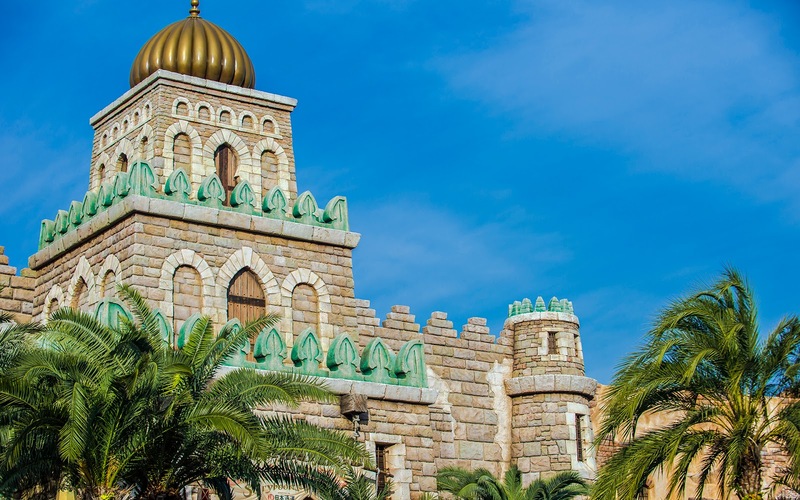 But in doing so, it takes styles and themes from many different actual Middle Eastern and Indian aesthetics. 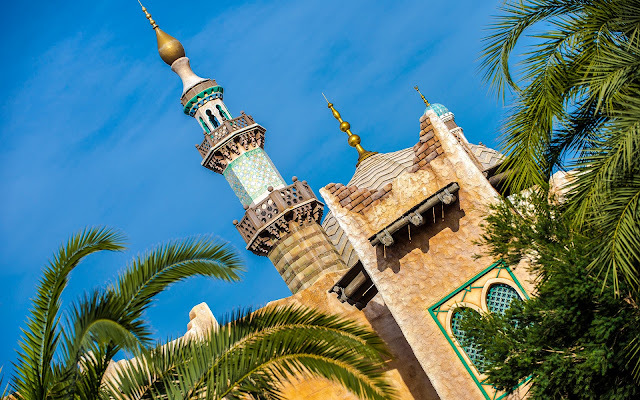 From spiraling minarets to bulbous domes to grounded, earthen fortresses, the Arabian Coast romanticizes the architecture of a collage of regions to produce a fantastical village that opens up and compresses and really captures the vibrance and activity of its inspirations. Here are a few glimpses of architectural moments in Tokyo's Arabian Coast!